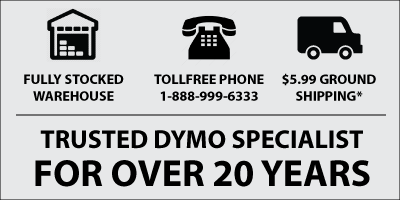 Dymo Rhino 622289 Clear Permanent Poly Label 1/2"
Dymo Rhino 1/2" Permanent Polyester Label Tapes / Cartridges are compatible with every Rhino and RhinoPro industrial label maker ever made. Following is the complete list of compatible Rhino label printers. Dymo Rhino 18508 Clear Permanent Poly Label 3/8"
Dymo Rhino 622290 Clear Permanent Poly Label 3/4"
Dymo Rhino 18432 Yellow Vinyl Label 1/2"
Dymo Rhino 1805435 Black Vinyl Label 1/2"